Cutting through nail-embedded wood can be a tricky and precarious proposition without the right cutting edge on your tool. 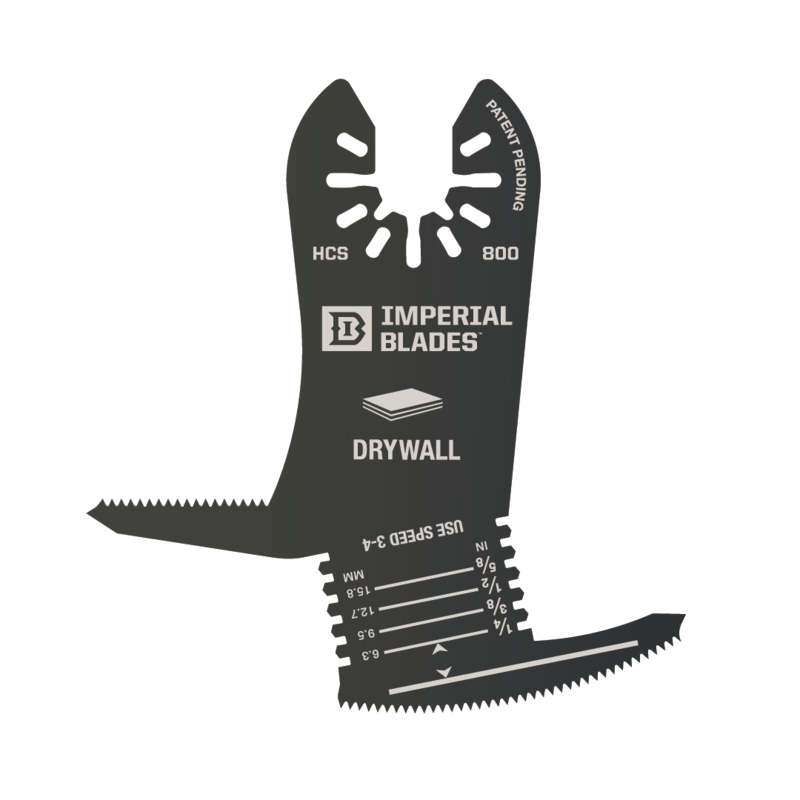 These Imperial Blades oscillating multi tool blades are designed to cut through nails, wood, hard material, drywall, and almost anything around the job site. The TiN STORM multi tool blade offers excellent performance and a long-lasting cutting life. Any general contractor can find a hundred uses for this consistent and durable multi tool blade. Nails and hardwood are no match for the titanium-coated teeth and bi-metal construction. The flushed oscillating blade allows you to cut in the tightest cracks, and it’s perfect for plunge cuts and detail finishing. This oscillating tool blade features bi-metal construction for a smooth and reliable cut, everytime. For demanding plunge cuts in tight spaces, it’s an accurate and durable blade with a long-lasting cutting life. Imperial Blades makes premier oscillating multi-tool blades with ONE FIT anchoring technology. The vast majority of multi tool blade formats are compatible with Imperial Blades products. Cutting through nail-embedded wood, metal strapping, and other tough materials is an absolute breeze! This 3-1/8-inch round oscillating blade is ideal for a variety of demanding cuts around the job site. You often need a tough blade for demolition or a thin blade for a precise flooring cut demanding extreme accuracy. This is a perfect blade to add to the tool bag for any contractor or renovation professional. The tough high speed steel construction offers excellent durability and a safe, clean cut - and is the thickest blade that Imperial Blades manufactures. Don’t risk injury or tool damage using the wrong oscillating tool blades. Pick up a round HSS tool blade from Imperial Blades and see the difference the right blade can make.